I was at the antique store last weekend and saw several wooden shutter sets. This picture came to mind. How cute is this organizational option? You could paint them various colors and put it above a desk, in the kitchen, or near your front door. 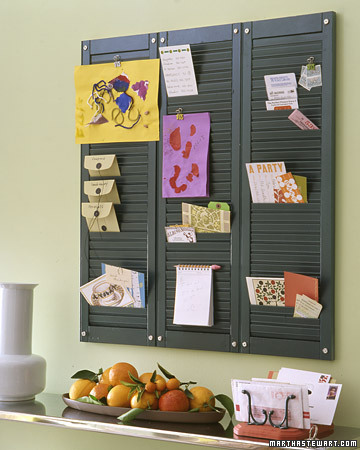 It is a great alternative to piles of paper around the house!